You either trust it or don’t trust it. Personally I love the way my online banking gives me the flexibility to manage my money easily and simply. Whether that is paying bills, transferring money, organizing a savings plan or just checking that there are no fraudulent transactions on my credit card, I can do this simply by logging in. However, I have grown up with the internet and can easily harness the power of the websites available. I can understand those whom are wary, especially with the prolific scams out there. I believe the pros still outweigh the cons as discussed below. Let’s look at this in sections. Paying bills, in this fast paced world, having the time to visit the post office or the head office of the company you owe is very little. Being able to pay that bill immediately, well before it is due in the comfort of your own home in minutes is very important to time poor individuals. Especially now you can organize for these to be automatically paid so you never miss paying a bill on time again. This means no risk of services being cut off or overdue fees. Transferring money to other people’s accounts is certainly a convenience to all. One of your friends got fantastic concert tickets for your group of friends. You now owe them the money for your ticket. In the past you would have to go to the bank and draw out the money and then wait until you saw that person to pass it on. Now to be able to transfer them the money straight away so they are not out of pocket reduces embarrassment for some people. One of the biggest advantages is the ability to open savings accounts and set up savings plan easily and quickly. You have the flexibility to pause or stop these plans when your situation changes. You can generally set the savings up to come out of your account right when your pay is debited so you don’t even notice the funds have disappeared. If you are saving for your first house or a car upgrade or a holiday it is now easy to set those funds aside so you don’t draw on them. Another really great benefit is to see the transactions that are debited to your credit card regularly instead of waiting till the end of the month statement to arrive. You can then stop your card immediately and reduce the impact of any fraudulent behavior. The biggest risk with online banking is security. A lot of people don’t trust the banks’ websites for this reason. They are giving very sensitive information out and don’t want to lose their hard earned money. It seems every time the bank moves to stop one scam the hackers come up with another one. This can be dealt with to reduce the risk as much as possible by ensuring you only log in on safe computers or devices, changing your password regularly, ensuring you type the banks URL and don’t use any dodgy email links and checking your accounts regularly. If you are careful and sensible in the manner you utilize online banking it can assist you in many levels of your financial life. If you wish to obtain assistance utilizing your online banking log in or have any questions regarding this please give the staff at Ritchie Advice a call we would be more than happy to help. This advice may not be suitable to you because it contains general advice which does not take into consideration any of your personal circumstances. All strategies and information provided in this article is general advice only. 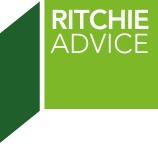 Ritchie Advice Pty Ltd ABN 12 150 128 448, is a Corporate Authorised Representative 408050 of Dover Financial Advisers Pty Ltd, Australian Financial Services Licensee No. 307248. Redraw facilities – why are they offered by the bank? What would you do differently if you could go back in time? Ritchie Advice Pty Ltd ABN 12 150 128 448, is a Corporate Authorised Representative of Lifespan Financial Planning Pty Ltd (ABN 23 065 921 735), Australian Financial Services Licensee No. 229892. Registered Office Level 23, 25 Bligh Street, SYDNEY, NSW 2000. *This advice may not be suitable to you because it contains general advice which does not take into consideration any of your personal circumstances. All strategies and information provided on this website are general advice only. Please arrange an appointment to seek personal financial and taxation advice prior to acting on this information.